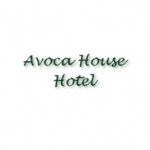 Culture & History,Shopping, Restaurants and Nightlife what ever you are interested in you will find it close to the Avoca House Hotel. Located in the quiet one-way Belsize Park, with its local charming village, The Avoca House is a family run Bed & Breakfast in a fashionable residential area. Swiss Cottage is a ideal base for both the business and leisure traveller with easy access to West End, City Airport, Waterloo and Eurostar all a short journey away. Visitors are not disappointment with our wealth of local treasures including Hampstead Theatre, previewing many West End shows and The Freud Museum. Wander down the leafy lanes of Hampstead Village, just up the road in an area selected by many celebrities to live in. Sample some of the fashionable bars, international cuisine or explore the boutique shops. Hampstead Heath is an ideal spot for a bracing walk with attractions like the Kenwood House. Another local green spot is Primrose Hill with magnificent views over London and meets Regents Park and The London Zoo. Within easy reach of the hotel is also St Johns Wood with its world famous Lords Cricket Ground. For a lively visit, try Camden Town, with its dynamic fashion and street scene, home of music & markets with everything from antiques to modern kitsch, a bargain hunters paradise!"